I provide my Clients the "Information" they need to make an informed decision about the Property Being Inspected in a Clear, Concise, Professional Manner with quality Photographs. All reports are web based and available to you 24 hours a day from anywhere with an internet connection. In other words, I provide my Clients "Peace of Mind!" 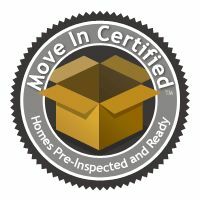 As a Certified Inspector I will spend two to three hours thoroughly evaluating all aspects of the Property you are purchasing, from the Roof to the Basement and all areas in between. Go here to see a complete list of the areas that I check during my inspection. And you know what; I want you to come along with me during the course of the inspection. Ok, if you're a veteran home buyer it may not be as important that you're there the entire time. I will not only inspect the house you're buying but I will share with you what needs to be maintained and why. You'll get a real education about your new home. Don't worry, I will explain everything in terms you can understand. I am a "Jargon Free" inspector! 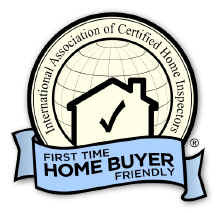 As a Certified Inspector all inspections are performed to the highest of standards set in place by the National Association Of Certified Home Inspectors.To see a list of these standards go here. I Want You As A Customer For Life! Because I want you as a Client "For Life", I am delighted to answer any questions that you might have about your home anytime in the future. Just give me a call! As a matter of fact, I am adamant about helping you maintain your home so that you can use your home's equity for your next purchase instead of for repairs. I send "Tips" on everything from keeping your Clothes Dryer Vent Line cleaned out in order to prevent a fire, to removing Window Screens on windows you don't normally open, to prevent wood rot. Oh by the way, the last few months I have sprinkled in a few "Money Saving" energy tips as well! Who else wants to give the power companies less of their hard earned money? We know that your schedule is very hectic so I work hard to accommodate you! I can conduct two inspections a day, one in the morning am and the second one after noon. This allows ample time for me to do the thorough, quality job you expect and get to my next appointment on time. Because not every one can attend the inspection during the week, I also inspect on Saturdays and Sundays after church. Our Sunday inspection schedule is limited, so please let me know as soon as possible that you need a Sunday inspection. I will do my best to accommodate you! I Schedule inspections seven days a week as well so feel free to give me a call on the weekend to schedule your inspection! 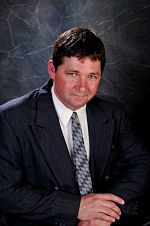 I serve all of the Central Valley and Foothill communities, from Modesto to Sacramento and from Livermore to the Sierra. Play this important message for you!